This is what happens when the wife doesn't go fishing with me. I tried to take the picture myself but failed miserably. I couldn't mess around and confirm the shot was in focus, I had to get that bad boy back in the water as they don't like being out for more than 3 minutes or so. The body on this thing was chewed up, I don't know what kind of activities it has been involved in, but it looked like it took some bird shot. 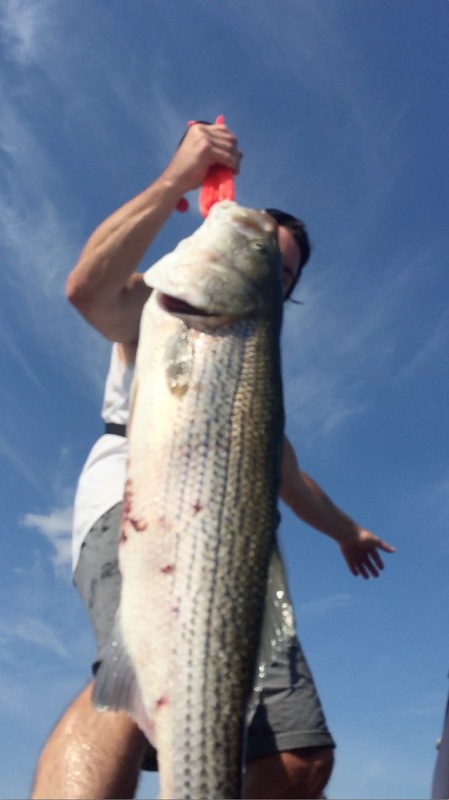 Anywho, I caught it in 18' of water at 5:00 pm. on a 9" Gizzard Shad. Marked him on the graph, anchored the Motor Guide Xi5 and downlined. It only took a couple of minutes from the time I saw him till he was in the boat. Also, if you guys haven't taken advantage of the White Bass bite, You Should! That's a great big ol fish. Wow. That is a hawg. That thing looks longer than you! I've been doing so much with so little for so long now that I can practically do anything with nothing. Damn I thought yer wifey was gonna be holding the fish. As for the whites send me a pm where to find them dudes!!! I searched for Tilapia Last weekend and was skunked so maybe Whites would fill freezer. You come out of Douglas Bend and head towards Lock 4 Recreation area. Right there at Lock 4 where the channels intersect, there is a Duck Blind in Shallow water. 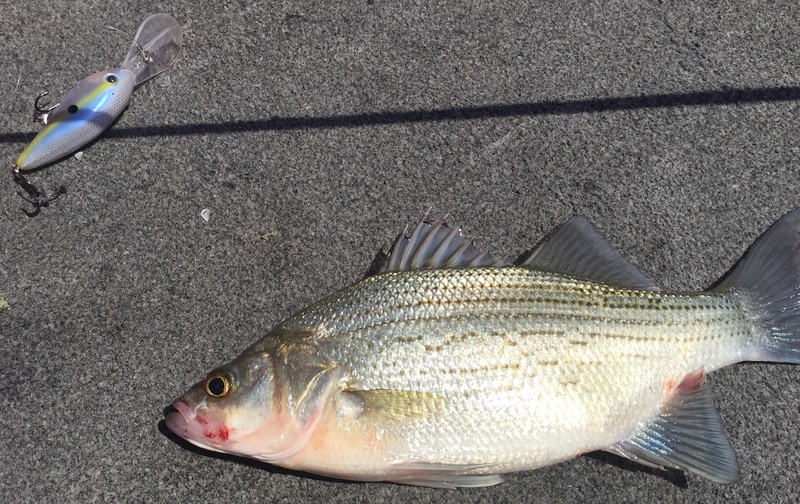 The white bass were stacked in the 10' area of water around that Duck Blind. Sorry don't have the coordinates, just unplugged the Lowrance. On the white bass note, just hit a bunch of main lake humps and bars with a crankbait and you will eventually find them. Especially if they are pulling water. Any crankbait that gets down 8-10 foot. And keep a lookout for them schooling on top. Haha Shaugh. You're an easy guy to impress OH has been tough this year, up until about a week ago, at least for me, but right now it's red hot for some reason. Anybody & Everybody should be out there having a blast! This Board is Awesome! There's so many Fisherman on here much better than me that have openly shared tips, tricks, & locations so we can all have a good time. I hope that trend continues!!! There is an incredible amount of activity north of the Steam Plant, across from the ramp around the buoy around daybreak and near five in the afternoon till dark. Something BIG is feeding...Adrian are you paying attention?